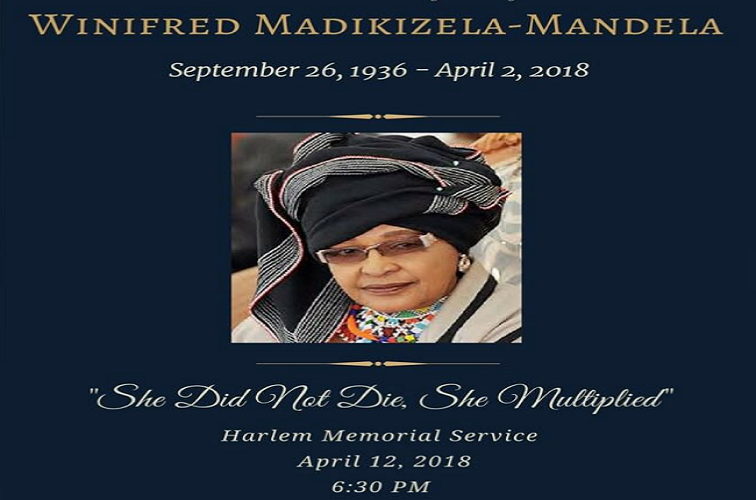 New Yorkers remember iconic Mam’ Winnie - SABC News - Breaking news, special reports, world, business, sport coverage of all South African current events. Africa's news leader. New Yorkers, mainly African Americans from Harlem, gathered at the historic Abyssinian Baptist Church to celebrate and remember an icon whom they continue to hold in high esteem. Winnie Madikizela Mandela‘s life has been described as a remarkable journey of a truly remarkable woman. That was the message delivered by the Deputy Secretary General of the United Nations – the keynote speaker at the first of two memorials to be held in New York over two days. Amina Mohammed said Mam’ Winnie was and will forever remain a force multiplier. Mam’ Winnie’s close friend and personal assistant Ntsiki Langford has described her physical beauty in some detail, calling her a show-stopper; in addition, one who was keenly perceptive about what was going on in people’s lives.